The Hotel is situated in the downtown Warsaw. Its location near important institutions, shopping centres as well as science and cultural centres gives the opportunity to combine business affairs with sightseeing of the capital of Poland.Â Close to the Hotel there are following touristic atractions: the Old Town, the Royal Castle, the National Museum. The hotel offers 392 beds in single and double bedrooms as well as suites. Nice rooms are comleted with full sanitary nodes, modern furnitures. TV-sets, radios as well as telephones. At their disposal, the guests will find an access to the hotel's parking lot, a drink bar, two restaurants and ten conference halls. The rooms are situated on first floor, close to the reception. Nearby there are coctail bar, cloak-room and toilets. The conference rooms are equipped with air conditioning, loudspeakers, screen, projector, and flip chart. It is possible to connect two or 3 rooms into a large conference area. Room "Konwalia" and "Malwa" border on patio, which can be used in summertime for picnic and grill parties. Room "Konwalia" and "Malwa" border on patio, which can be used in summertime for picnic and grill parties. 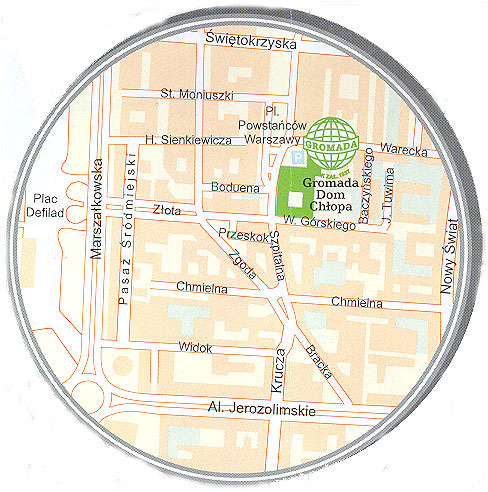 The hotel also have three conference rooms for chamber meeting: "Jagoda", "Poziomka" and Club "Warecka". The Club has its own entrance from outside and consists of two rooms. It is a cosy place for private and semiofficial meetings. The hotel is located in the city centre, 1 km away from the Main Railway Station and 12 km away from the airport.